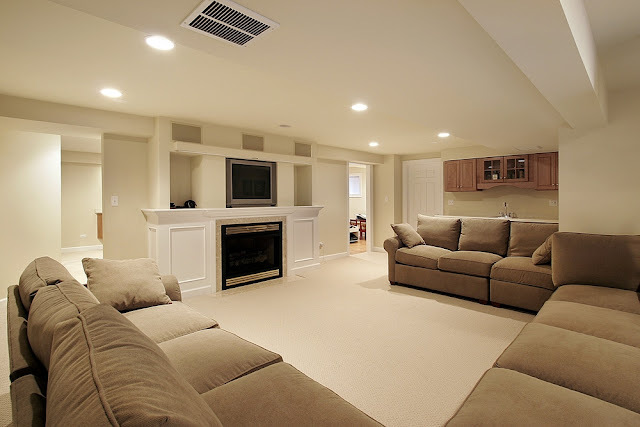 A finished basement adds value to a home not only in price but in appearance. If you intend selling your home, a beautifully designed basement will help increase your home’s market worth. These are few reasons why you must ensure your basement is prevented from moisture. Although modern homes are usually built in such a way that it prevents moisture penetration. Both the foundation and the walls of the basement are reinforced and sealed against moisture penetration. Older homes can also be renovated to prevent moisture penetration, though this doesn't completely stop the moisture penetration. A basement is usually a damp area in the home. AGM Basement is a professional contractor offering basement renovation and finishing services. For with these professionals at your services, then you are secured. Given its location, basements are usually built below the normal ground level of the home. The strategic location of the basement allows it to have a cooler temperature compared to other parts of the home, which makes it prone to moisture penetration. This is the reason why even the best built basements are still prone to moisture penetration. However, most people refuse to follow the basic guidelines for a basement renovation. When renovating your basement, there are certain factors to consider, you must first know the source of moisture penetration. This is important as it will help in rectifying the anomaly. Before you start a basement renovation project, ensure you get a specialist to come inspect your drain. This is important even though many don't place it as a priority during basement renovation. The plumbing channels must be thoroughly checked to ensure that it's functional and also to confirm it isn't a potential source for moisture penetration. Before hiring the services of a professional to inspect your sewer, be it a plumber or a general contractor, you must ensure that pipe cracks are checked. Also, your contractor must also check the plants root, to know if it has penetrated the pipe or not. Any form of minimal damage can cause serious damage to the pipes; this is a more common problem in older homes. Broken pipe can easily cause blockage. Also get rid of plant roots that must have found their way to the pipe area. This needs to be done to keep your pipes intact. You must take the above listed guidelines seriously if you want a moisture-free basement. You don't want to spend a large sum of money on basement renovation only for faulty sewage to render your efforts useless. After completing a basement renovation, you must ensure the entire basement area is thoroughly cleaned up. Effectively plan your basement renovation, but ensure your plumbing channels and drains are well checked. People without adequate planning for their basement end up spending more than budgeted. So therefore get a specialist to help ensure your basement renovation is well planned and carried out.